Wottaread - Page 6 of 14 - Ready to read? Percy Jackson is a publishing phenomenon, and the author, Rick Riordan, has been named several times as the heir of J.K Rowling’s legacy. However, while J.K Rowling ’s wizarding story transcended the world of literature, seems like Rick Riordan’s story didn’t work that well in their movie adaptations. After the second movie, the adaptations were canceled, so for those wondering when is Percy Jackson 3 coming out I have bad news for you. What happened to the Percy Jackson movie adaptations? Will Percy Jackson have a reboot? This series, Percy Jackson & the Olympians, was written by American author Rick Riordan. This is a pentology, and has sold a million copies around the world, this saga translated into 34 languages. This, being a bestseller saga, was easily expected to be a success on the big screen. 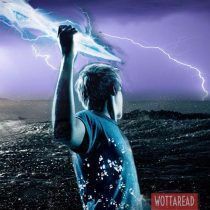 The author made up Percy Jackson’s adventure as a bedtime story for his son, who enjoyed so much the story that suggested his father put such a story into the paper. Like Harry Potter, Percy Jackson is addressed to a children audience. The producers knew this, so they hired the same director who directed the first two Harry Potter movies, Chris Columbus. Only the first two volumes, The Lightning Thief and Sea of Monsters, made the leap to the big screen. Lighting Thief was released in 2010, the movie was directed by Chris Columbus and cast Logan Lerman as Percy Jackson. The film had a $95 million Budget and grossed $226.4 million. The sequel, Percy Jackson: Sea of Monsters, was released in 2013 this time directed by Thor Freudenthal. Both Budget and grossing were lower than the first movie, being $90 million and $199.8 million respectively. As you can see, both movies recouped their production budgets. But where profits as high as expected? As said before, Percy Jackson was expected to be the next Harry Potter, a media phenomenon such as J.K Rowling’s saga, The Lord of the Rings (see here to know about this movie adaptation) or The Hunger Games. Percy Jackson movies were profitable, true, but not as successful as expected. The critics didn’t rate the movies very high, Rotten tomatoes ranked these movies with 49% and 42% in their Tomatometer. Same goes for Metacritic scores, most of the reviews being unfavorable and both movies scoring 47 and 39 respectively. Too low. When you make a movie adaptation you want the original fanbase, that is, the readers, to love it. At the same time, you want people who have never read the novels to enjoy what they are watching. 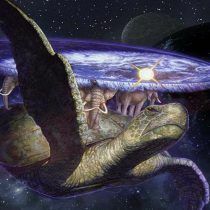 This gets tricky sometimes, and the formula applied for Percy Jackson’s movie adaptation didn’t work. Percy Jackson’s fans didn’t like it, and the rest of the audience wasn’t captivated either. Fans thought the movie was quite disappointing, the story does not follow the books, there are major changes along the plot and the character development is not proper enough. Yes, the Greek gods and so are the demigods (obviously), but not like in the novels. “The script as a whole is terrible. I don’t simply mean that it deviates from the book, though certainly it does that to point of being almost unrecognizable as the same story. Fans of the books will be angry and disappointed. They will leave the theater in droves and generate horrible word of mouth. That is an absolute given if the script goes forward as it stands now. But the bigger problem is that even if you pretend the book doesn’t exist, this script doesn’t work as a story in its own right”. As you see, the author was right, it didn’t work and Percy Jackson 3 never had a release date. He saw it coming, he was brutally honest with the producers. Even so, the movies were an absolute flop. Will Percy Jackson have a reboot? If you checked the author’s website you will see he theorizes about this. Right now, there is no date for a Percy Jackson reboot. As Riordan says, Disney acquired the rights from Fox, so if Disney decides Percy Jackson to be rebooted it will. Logic says that it won’t be Percy Jackson 3 but the saga itself would be rebooted. For all those Percy Jackson fans who whish there is a good movie adaptation for their beloved saga do not despair, this series has a lot of potential and maybe one day it will have a proper movie adaptation. Meanwhile, we will always have the novels. Yes! 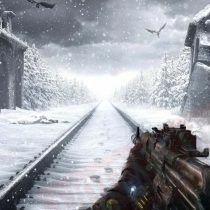 It is a videogame developed by 4A Games and based on the Metro series written by the Russian author Dmitry Glukhovsky. Exodus is the third game in the video game series, preceded by Metro 2033 and Metro Last light. If you are a pc player you probably have played Metro 2033 at least, since it was free to download on Steam for 24 hours in October 2018. Metro Exodus was released on 15 February 2019 for the following platforms: PC, Play Station 4 and X box one. For all the Nintendo fans wondering if Metro Exodus is coming to Nintendo Switch, the answer is no, the video game developers have no plans to launch this game in this platform. Who knows, maybe they will announce they are launching Metro Exodus for Nintendo Switch in future events, wouldn’t be the first time. As you just saw on the trailer, this videogame is a first-person shooter set in a post-apocalyptic Russia where you will have to face all kind of mutated creatures. This game is not only about the shooting, but it also stealth and strategy are key elements for your survival. The plot develops after the events of its predecessor, Metro: Last Light. Exodus will have also Artyom as the main character. In this game Artyom wants to prove there is life outside Moscow, leading to dangerous and thrilling expeditions. As you see this is one of those videogames where the story is relevant. This is not a videogame based only in shooting and killing monsters. Instead, the storytelling will immerse you in this post-apocalyptic world. The survival horror touch is always there, you will suffer more than once trying to survive as Artyom. This videogame has also interesting features, along with the plot you will have to make your choices which Will have a real impact on the story. That is, depending on the decisions you make some of your comrades might not survive. So, be careful! Also, this video game includes a Dynamic weather system and a day-night cycle, which will make this game experience even more captivating. This series is set in an apocalyptic world, after a global nuclear war, the Earth Surface turns to be uninhabitable due to the amount of nuclear radiation. This novel takes place in Moscow, the story beginning in the year 2033. Here the survivors live underground, the metro stations become new cities where humans defend against the hostile mutated creatures due to the nuclear holocaust. The main character is Artyom, a 24-year-old man, who was saved from carnivorous rats when he was a child by a military officer, Sukhoi, who is one of the leaders of VDNKh, the metro station where they dwell. 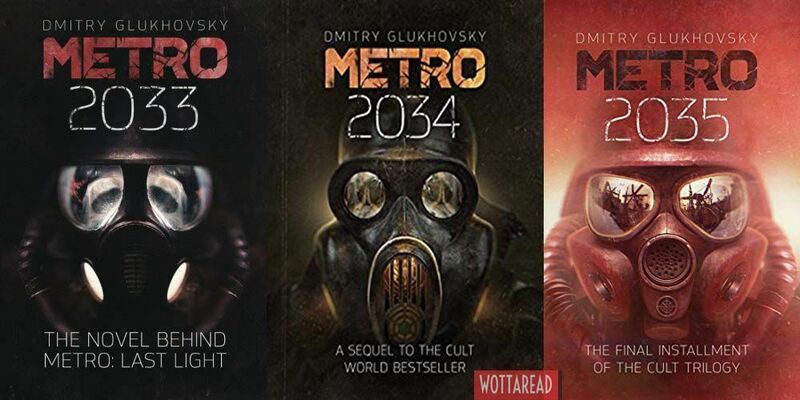 After a visit by a strange man called, Hunter, Artyom is entrusted a mission of warning another metro station about the increasing threat of the Dark ones, humans who survived and adapted to the nuclear radiation and therefore live on the Surface. The first novel has a score of 3.9 out of 5 on Goodreads, while Amazon gives this a 4.4 out of 5. How has been Metro Exodus received by the fans? This videogame has achieved great marks, and lots of fans consider this a worthy candidate for the Game of the Year Award. Others say it’s a great competitor to one of the other big GOTY favorites, which is no other than Kingdom Hearts 3. Metro Exodus scored 84 for pc on Metacritic, while the Metascore for videogame platforms is slightly lower, being 82 and 79 for Xbox One and Play Station 4 respectively. Generally speaking, fans seem to love the game according to numerous reviews published on this website. Fans love the open world, they praise the graphics and the dark atmosphere. And, an easy one being based on a novel series, they enjoy the storytelling. There are of course others that didn’t like the video-game. Most complains are mostly because of the input lag and bugs they claim are experiencing. Also, seems like the open world approach is not something all the fans are enjoying, some of them claiming they prefer the most linear systems of the previous metro videogame installments. What about you Wottareader? Do you think this is a worthy successor for the Metro franchise? If you liked this article, remember to check this one about The Witcher videogames. Hello there Wottareaders! I know what you are thinking, is the title wrong? how can I.M Redwright suggest not to read Game of Thrones when he’s all day suggesting books and sagas to read? has he gone crazy? I’m afraid not, the title is right: This is why you shouldn’t read A Song of Ice and Fire (Game of Thrones). Or at least, not yet . A song of Ice and Fire is already a success. I don’t mean it’s a bestseller saga, no, it is a social media phenomenon. People love Game of Thrones, so much that some even name their children as some of the most popular characters. And I don’t mean they name their kids Jon or Robb, which they may too, but the most popular GOT names are the most exotic, names such as Aria or Khaleesi. A brief pause here, how can Khaleesi, which is actually a title, be a more popular name than Daenerys? whatever. If you don’t believe it, just check this article . 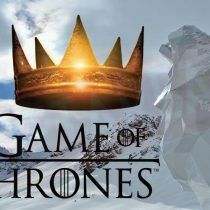 With the upcoming season 8 of Game of Thrones this tv show is coming to its end, and then comes the following question: what about the books? Let’s not forget that this tv show is actually a movie adaptation of the novels. Or at least it was until season five, but now, the last season is about to be released (April 14, 2019, for those who didn’t know) while the next book in the series, Winds of Winter, has not even a release date. 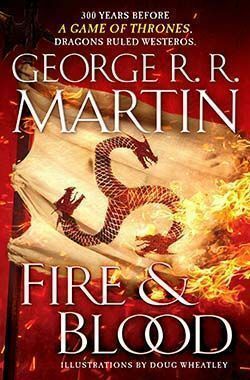 This is why I said in a previous article, that George R.R Martin could have published his prequel, Fire & Blood, after publishing Winds of Winter and A Dream of Spring, the last two volumes of this saga, which someday (maybe?) will have a release date. 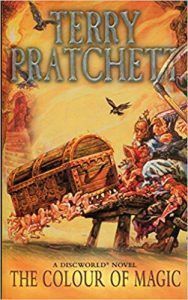 True, George R.R Martin stated that the last books were going to be 1.500 pages long each, which is fairly long even for his standards. It is totally understandable that the writer takes his time to finish his manuscript, his story has a lot of characters and subplots and he wants everything to fit in. Of course, it is his story and he can take all the time he needs and wants, that is out of the question. A Game of Thrones. Release date: 1996. A Clash of Kings. 1999. A Storm of Swords. 2000. A Feast for Crows. 2005. A Dance with Dragons. 2011. The Winds of Winter.Release date: who knows. A Dream of Spring.Release date: who knows. You see it don’t you? no? let me help, 5 years from A storm of Swords to A Feast for Crows, 6 years from this one to A Dance with Dragons. See the progression? now, if you do the maths, you might expect The Winds of Winter to be released seven years after, which would be 2018. But that did not happen, George R.R Martin didn’t publish Winds of… wait, wait for a second, we are forgetting something, didn’t he publish a book recently? Publication date: November 20, 2018. The Winds of Winter. Release date: 2026. A Dream of Spring.Release date: 2035. We just hacked A song of Ice of Fire publishing dates! here you go, this is why you shouldn’t read this saga unless you don’t mind to read the last book in 2035 but that is, of course, your choice. Hope you enjoyed this article, let’s hope George R.R Martin’s progression is not a real thing, please not, I am not watching the tv show until the books are released and I don’t want to wait until 2035. Please make a reboot if that happens. So here it is, with a bit of delay, true, but here it is after all. As I promised on Twitter, I would talk about me when I got 1.000 followers. As you might have assumed, either because this post exists or because you follow me on Twitter, I already achieve such a magic number. Until now, I have told you about books, movie adaptations, authors, everything I love related to reading I have shared it with you. Now, It’s time to get a bit more personal. This is how I decided to become a writer. 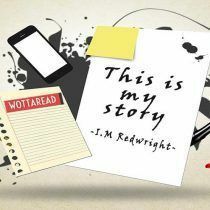 This is my story. I have always been a creative person, I don’t think I have a lot of virtues, but creativity is surely one of them. This has been always a two-edged sword, if any writer is reading this I think he/she will relate with this, when your imagination is above average, you just make up scenarios that for other people might be inconceivable. Some may think this is great, and sometimes it is for sure, but lots of times you just get worried for scenarios or situations that are nearly impossible. Your mind plots like crazy, and your life gets harder than it actually is. There are a few more, but these are the ones I had already started, each of them at a different phase. I know, some of them sound more serious than others, but when I have an idea I want it to be real. Unfortunately, I had to make a decision, time is limited and I couldn’t focus on all of these while having a regular job. I had to make an important decision: I had to prioritize. I read somewhere, sadly I can’t remember where, that the word priority originally existed only in singular form, it had no plural. Which makes sense, if you have more than one priority, then you don’t have any priority at all! A pretty simple one isn’t it? but it helped me to make a decision. As you might see the most advanced project was the movie script, followed by the fashion design project. I also considered money, some of these projects required quite a high amount of money, and not only that, I needed help for some of them. Also, when I would have these projects finished, or at least in an advanced state, was also something to consider. There was another thing I considered, don’t stare at the image, no column for this one. It was my heart. In my heart, there were three major projects, the book, the movie script and the invention. The movie script was the first project I started, which lead somehow to writing a book. The invention is just, in my opinion, a great idea I would love to develop some day. So, after considering all of this, which do you think was the first project I decided to focus on? well, it was the movie script. I had it written already, it was for an animation movie, so I only had to email Pixar. They would love my script, then buy the script no matter the price, and then the movie would win at least 10 Oscars and… nope, no need to say this didn’t happen but instead, it got way more complicated than I expected. Remember what I said previously about too much imagination? I realized this is getting longer than I wanted to! and it actually was fun, this is where it all began but there is still a lot more to tell.